OenoSm'Art is a mobile themovinification unit based on flash detente technology. This unit can process up to 3t/h. The new Kliner roller sorting table responds to the expectations of the major wine-making units. Its innovative solution for automatic adjustment significantly improves sorting quality. Kliner adapts automatically to all harvest types. PERA-PELLENC is launching its new range of SMART PRESS pneumatic presses, whose smart pressing programme, installed as standard, optimises pressing cycles to produce high-quality juices. With a user-friendly touchscreen, SMART PRESS presses are easy to operate, as well as quick and simple to clean. This innovation was rewarded with a nomination for the Vinitech 2016 Innovation Awards. Vinitech's scientific and technical committee has just nominated PERA-PELLENC for the launch of its new SMART PRESS range of pneumatic presses. This distinction is a reward for several years’ work conducted by the ‘top-of-the-range’ equipment manufacturer, for the development of its latest generation of equipment. 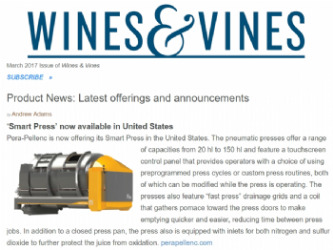 Stéphane COTTENCEAU, wine-maker and marketing and media manager at PERA-PELLENC explains: “SMART PRESS will replace the open-cage PE presses and closed-cage PN presses with their capacity of 20 to 150 hl. They are naturally suited to the needs of wineries dedicated to upgrading their production quality. 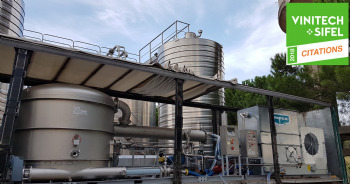 We developed these models with the aim of supporting wine-makers seeking to improve the quality of their wines, maintaining aromatic potential while also making the equipment easier to use”. The new SMART PRESS presses have the EASY PRESS 2 smart management system fitted as standard*, providing top-quality, simple and easy-to-use pressing for the cellar. 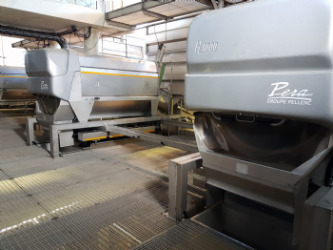 The settings required for speed of pressing, quality of juice and dryness of pomace wanted by the wine-grower are easy to make on the TouchPress, user-friendly colour touchscreen interface. The automatic controller, with the latest closed juice tank then runs the entire pressing cycle independently, until it is complete. The particular feature of the EASY PRESS 2 system is that it encourages production of very high quality juices, while reducing the quantity of must and allowing Elite cycle gradual pressure increases. Cleaning procedures are very quick with the new SMART PRESS presses. With its FAST PRESS drainage grilles, with no corners, pomace is quickly and thoroughly removed. An easy-opening system for the grilles makes them easy to retract for complete washing from below. It also allows the tank to be kept perfectly clean. The SMART PRESS range also has a standard automatic washing cycle (depending on model). Automatic, high-pressure washing systems are also available as an option. With a better drainage surface than the conventional type, FAST PRESS grilles allow a more thorough and immediate drainage. Extraction is therefore completed faster, giving less oxidation in the juice. Quality preservation is even better with the optional must protection systems for SMART PRESS presses. The first of these, INGAS, protects the juice flow from the air by injecting neutral gas under the grilles during pressing. The second, ENOXY+, which has already been trialled, involves injecting anti-oxidant during the must phase. This has the dual aim of obtaining high-quality juice while preserving the aromatic potential, particularly the fruity, floral notes and the thiols. 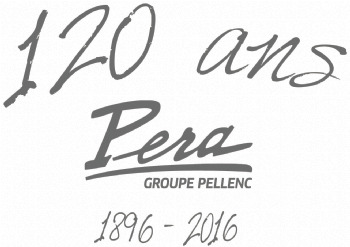 The Languedoc company PERA-PELLENC, an emblem of French winemaking expertise, is celebrating its 120th birthday this year. The opportunity to reinforce further its commitment to top quality cellar equipment, to establish its position with the demanding winemakers of France as well as those in the rest of the world.